How much does .eco cost? One of the most frequently asked questions we get is: “how much does .eco cost?”. There’s a simple answer to that of course. One of the surprises of launching .eco has been the level of engagement through our support channel. 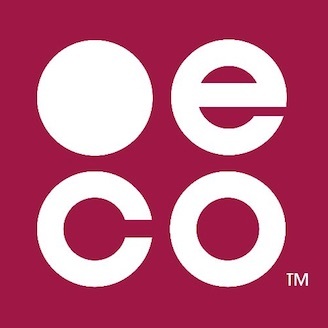 Visitors to get.eco are often glad to find that we personally maintain an open channel to ask questions and provide support for .eco members (i.e. real founders, not bots). It has become one of our favourite parts of the job. We get questions ranging from simply, “where can I purchase a .eco domain?”, to more detailed asks like “how should I think about my eco-marketing strategy?”. We love being a resource for our community, and for small businesses in particular. What’s more, we love learning from companies like node.eco, ducky.eco and oceanworks.eco, who are already leaders. One of the most frequently asked questions we get is: “how much does .eco cost?”. There’s a simple answer to that of course. More important, there’s understanding why .eco costs what it does. What’s behind the price? You can buy .eco domains from different retailers. Just like you might find eco-friendly toothbrushes made from recycled yogurt cups by www.preserve.eco at many different shops. Every retailer has a different bundled offering. Some, like United Domains, will offer you the chance to pair your .eco domain with a Shopify storefront. Others like Hexonet might help you use your .eco with Facebook or Linkedin. Before you purchase a .eco, it’s worth thinking about how you’ll use it. Once you know what you want to create, you can find a retailer that suits your needs. Of course, price may be your biggest determining factor. Some retailers, like Pork Bun, strive to offer the lowest pricing to their clients. We enjoy working with all our retailers, and typically see pricing range around US$ 69 per year. This brings us to the best part, what’s behind the price? When you purchase a .eco, you’re getting a number of added benefits: trust, transparency, support and community. When creating .eco, we sought to land on a price that would support those benefits for our members. The benefits we offer are based on what we understood that our community wanted. We worked closely with environmental groups to design .eco to reflect the conscious, innovative nature of our community. Trust: Everyone who uses a .eco domain makes a commitment to the environment. This makes .eco a shared brand. Each .eco owner enhances the reputation of all of the other owners. Collectively, the impact is magnified. Transparency: Each .eco domain comes with a free landing page that provides a structured environmental reporting solution that is both simple and connected. Not everyone can afford a full time sustainability officer. So we’ve done that work for you by creating a .eco profile page. Developed by leading sustainability experts, the .eco profile gives you and your visitors confidence that you are tackling environmental issues the right way. Support: Unlike many domain ending operators, we only run .eco. That’s why we can focus on supporting our community full time. We, and other .eco members, are building a learning community. With us, sustainability isn’t intimidating, it’s fun and easy. Community: A sense of shared responsibility, both for the planet, and for our brands, is what drives .eco. Trust, transparency and support are the walls, community is our foundation. There’s no better place to starting building your brand, than with one that’s built on these values. We hope you’ll join us. Check out go.eco and find a .eco name that you love. Then get in touch with us to help you build it.